0 A.D. is a free game. This means that the source code is available to be studied, modified, and distributed. Most projects look for help with testing, documentation, graphics, etc., as well. 0 A.D. is a historical 3D real-time strategy game developed by Wildfire Games. It takes place between 500 B.C to 500 A.D. and focuses on economy and war management. 0 A.D. offers a variety of playable civilisations whose characteristics are based on real world history. The game source code is licensed under the GPL and the media is licensed under the CC BY-SA license. 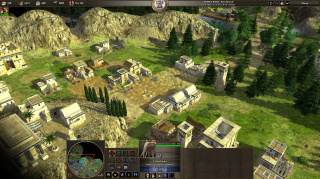 In 0 A.D., players start with building a base in order to develop their economy, research technologies and train an army. The game has a strong focus on the combat aspects of real-time strategy games. Therefore different units have to be built to create an effective army. Which in turn requires the harvesting of resources. 0 A.D. has a competitive multi-player mode. New command for units: Patrolling. Reworked balancing, soldiers are now weaker against buildings, making siege weapons more important. Introduces a technology to let towers attack units standing underneath the tower. 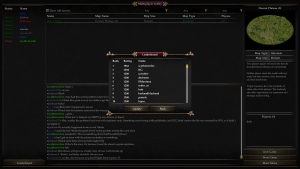 Higher quality graphical effects enabled by default on higher-end computers. Idle worker button is automatically disabled if there are no idle workers. Units can now capture buildings and siege engines from enemy players. Two new victory condition modes: Destroy/capture all enemy structures to win, or destroy all enemy units to win. New Nomad Game mode: The players start with only a few units, and no civil center, and must build a base from scratch. Many improvements to the map editor. Debut of the Ptolemaic Egyptians as a new playable civilization. Skirmish Maps which are similar to scenarios, but can be changed easily. The idea of the project is around since 2000. The source code was released under the GPL and media was released under the CC-BY-SA in late 2009. ↑ Background page on 0 A.D. website accessed on November 15th, 2009. This page was last edited on 24 March 2019, at 17:43.